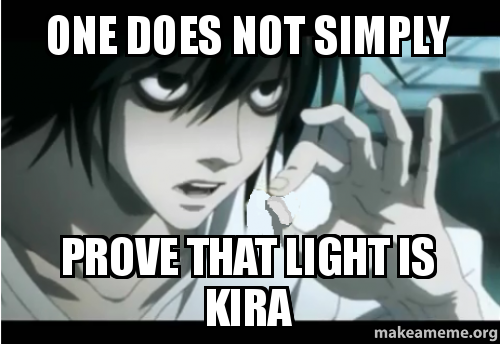 L: ONE DOES NOT SIMPLY. 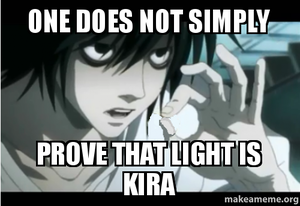 L imitating the one does not simply guy XD lol Just for laughs :). Wallpaper and background images in the Death Note club tagged: photo. This Death Note photo contains anime, grappig boek, manga, cartoon, and stripboek. There might also be portret, headshot, and close-up.